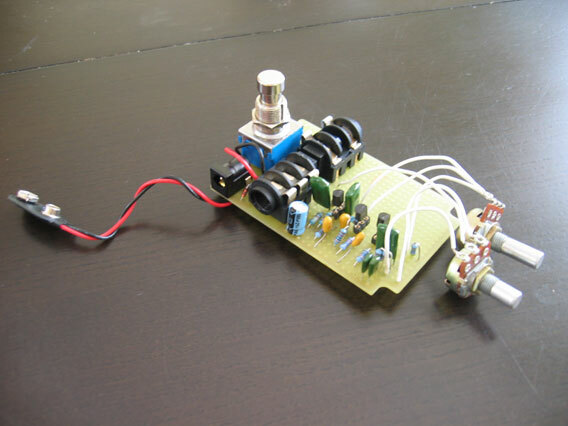 This is a bass overdrive built from PCBs from GuitarPCB.com. The boards were professionally made. 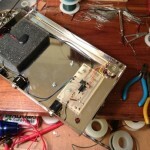 The layout is good, with pots mounted to the PCB. 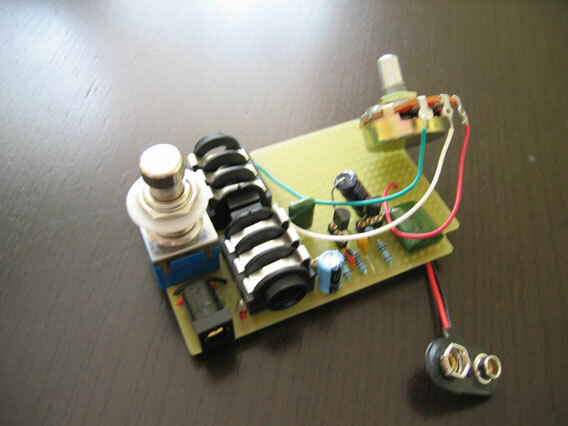 The LED is also mounted to the PCB. Actually everything goes through the PCB, except for the ground wire from the battery clip. 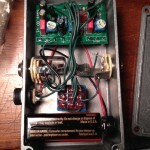 The system seemed to work well and makes for an easy wiring job. The boards included a system to use a bi-color LED. With a single red/green LED, the LED would show red when the effect was on and bypassed, and show green when the effect is engaged. While I appreciate the ingenuity, I didn’t choose to implement this feature. I feel if the light is on I’ll think the effect is engaged. Everything else I have works this way. The build was pretty easy. I used parts I had on hand. This build doesn’t use any non standard parts. 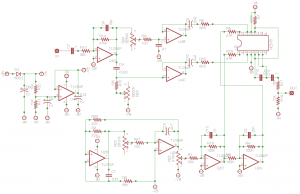 This effect relies on overdriving JFETs. Using two MPF102, and a single 2n5457. Nothing too special the claim is carefully chosen caps make the system work well with bass. Wired up this ampeg scrambler board I’ve had for a while. I’ve been trying to finish up all of the unfinished projects from the last few years. Fired up first test. 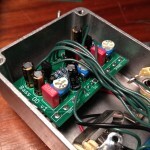 I used MPSA13 transistors. 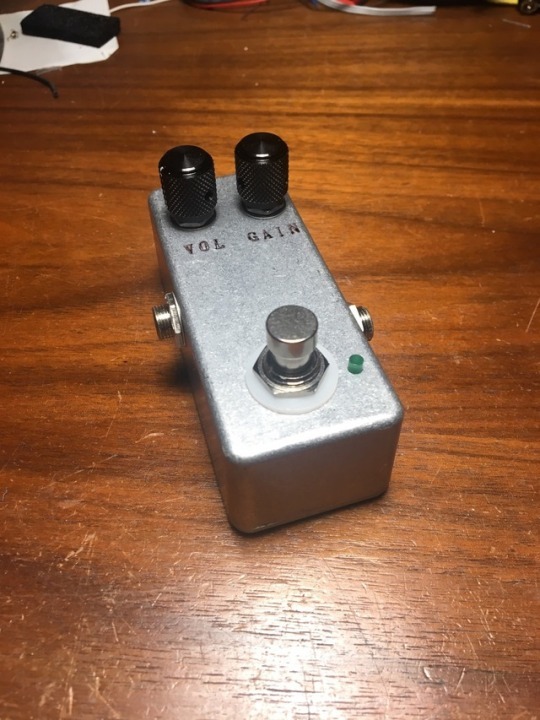 I got the PCB from John Lyons on DIYStompboxes. 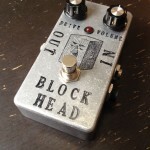 It’s the tone pad layout. 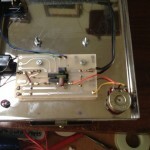 The layout is set up for different transistor pin arrangements. The MPSA13s were working well, I was thinking to try some others before boxing this up. 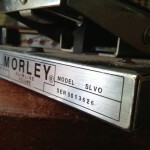 I found this Morley Volume pedal at a garage sale for $5. I think it was a good deal. Not as sturdy as the Earnie Ball, it still feels pretty solid. 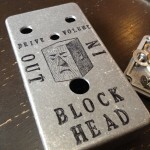 It has a big toggle switch at the toe which turns it off and on. Not sure why you’d want to turn it off except to conserve the battery. And yes, it does require a battery. 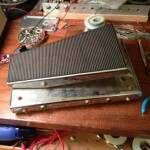 Instead of pot the Morley uses an LED/LDR to control the volume. 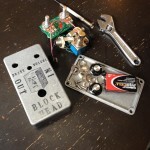 The pedal attaches to a piece black card stock that passes between the LED/LDR pair as you move the pedal. Simple and effective. 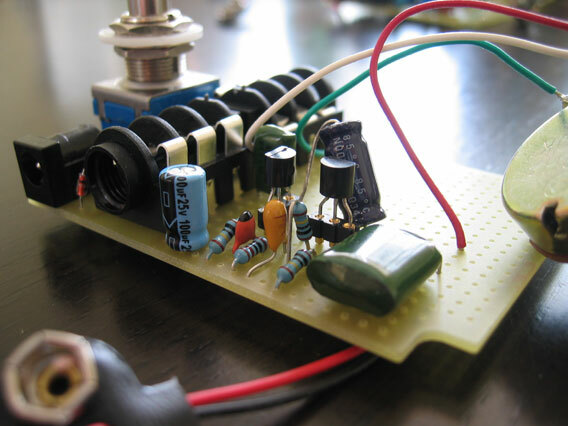 It takes a 9V battery, or power supply. 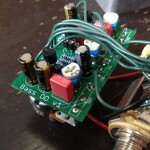 The power supply requires an 1/8″ mono jack, which is less than idea, but I have an adapter so it’s a non issue. 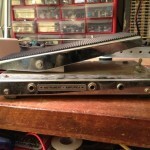 Placing the Instrument, and Amplifier jacks on the same side (right) is a little problematic. Then again it might work out better for some arrangements than others. 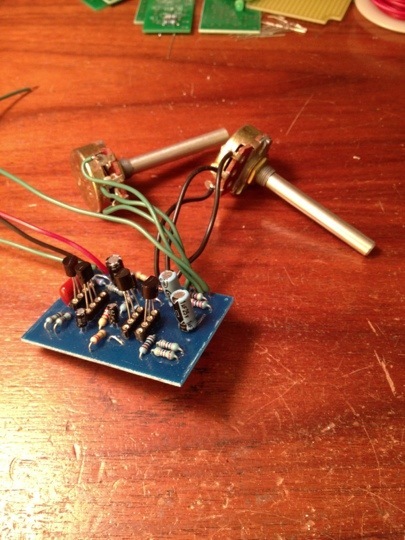 This is Tremolo-Matic X from the Tremolo Issue of Stompboxology by Nicolas Boscorelli. 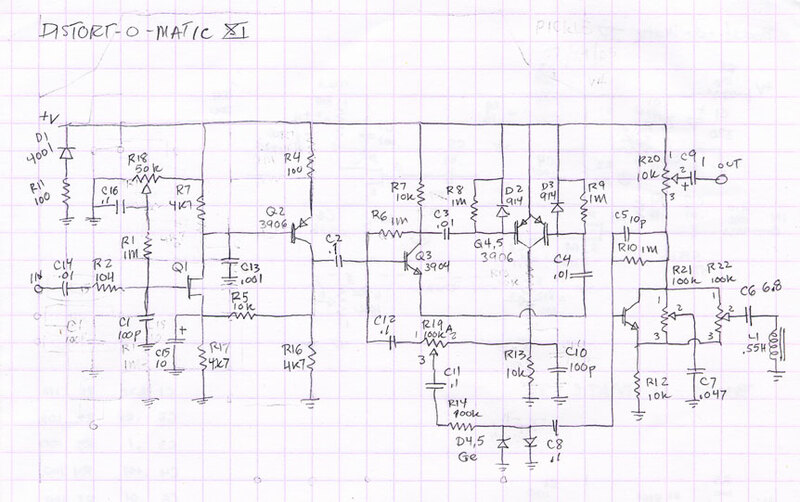 I have redrawn the schematic to make it easier to read. Hopefully this will be helpful to anyone attempting this project. 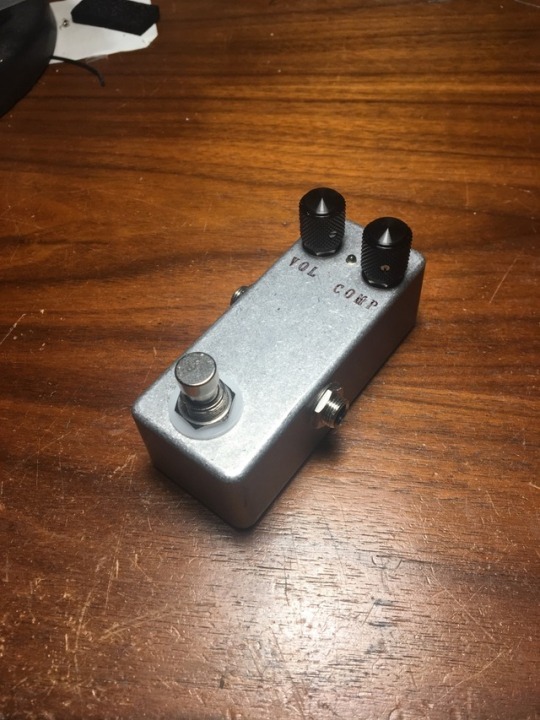 This is Tremolo that pans between a treble and bass signal. 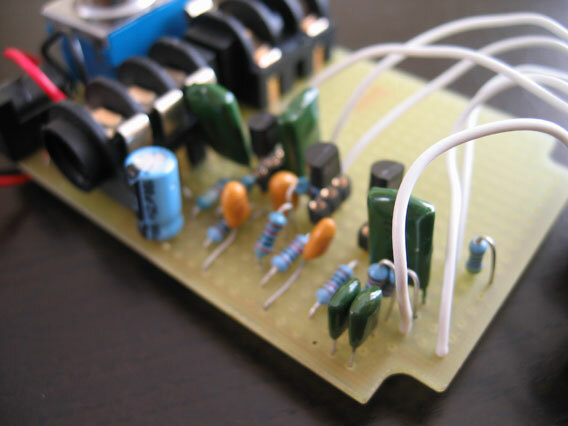 It inlcudes controls to set the level for both the bass and treble, rate and depth. 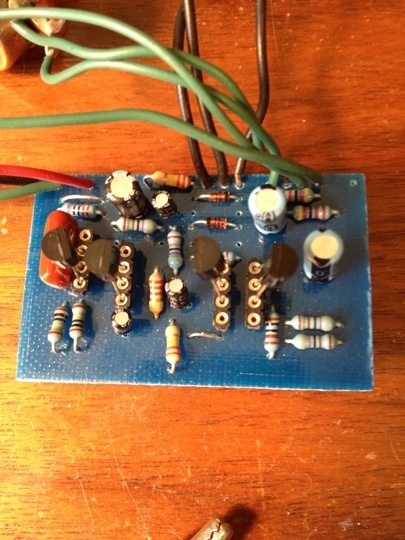 I built mine from the PCB layout posted by Morocotopoat Diystompboxes here. This lay out worked well for me. Though it looks likes it isn’t finished as there are a few extra pads that don’t quite make sense. The layout does work. I have built it myself. It sounds pretty good. I made a few changes. First I changed the Rate pot to 100K to get a more useable range of speeds. With the original 25K pot the slowest speed was not very slow. 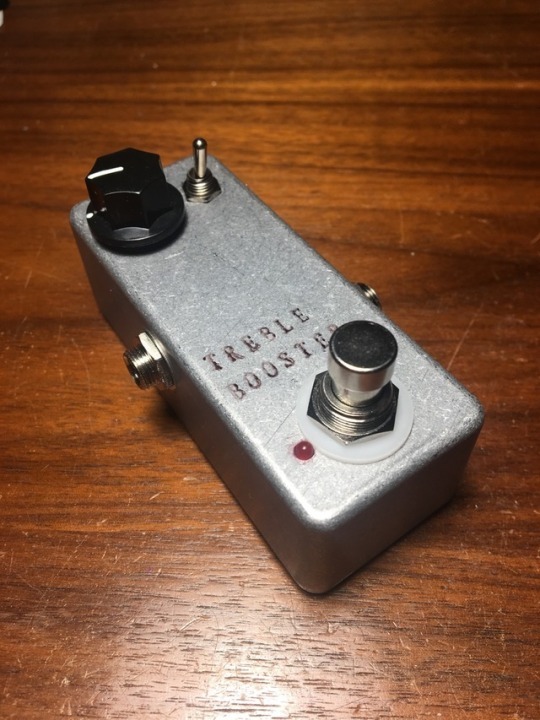 I like the sound of slow tremolo. 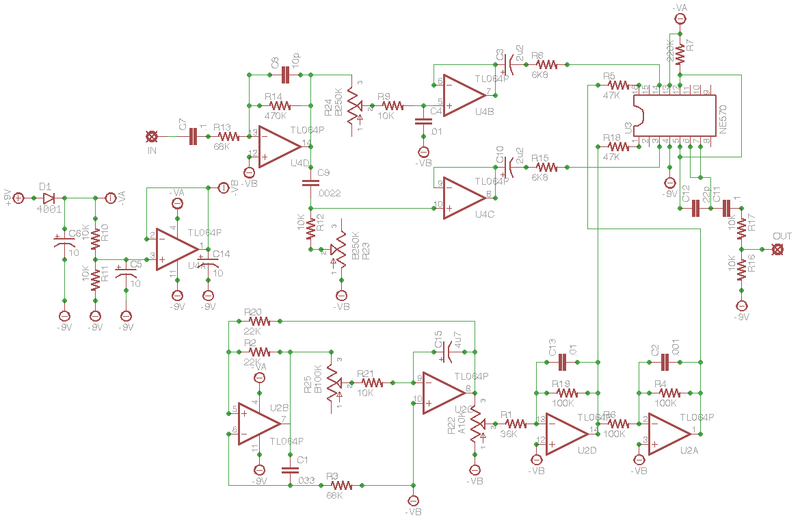 The 100K pot is shown on my vsersion of the schematic. speaking of the rate, I’d like to get a slightly faster rate at the fast speed and a little slower at the slow end. I think I will be playing with R21, R25 and C15 a little more. 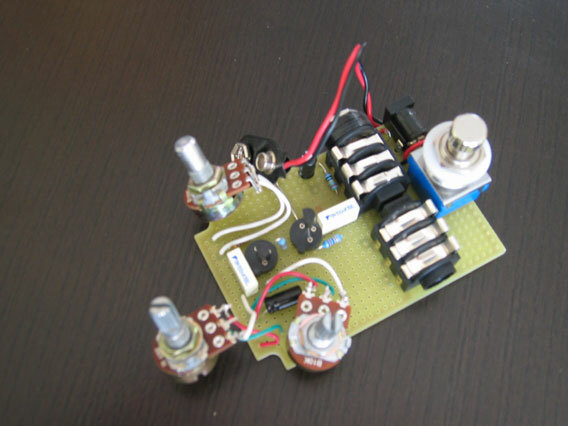 The other mod, not included in my schematic, is to decrease the gain on the input stage. Basically this comes down to decreasing the value of R14. With the original value of 470K you get a little bit of clipping with hot pickups. I haven’t decided on a value yet. Note the, input stage is inverting. Which presents a lower input impedance than would normally be acceptable. But it seems to work OK here. Also note that there are a few parts list as optional feed through bias or something like that. 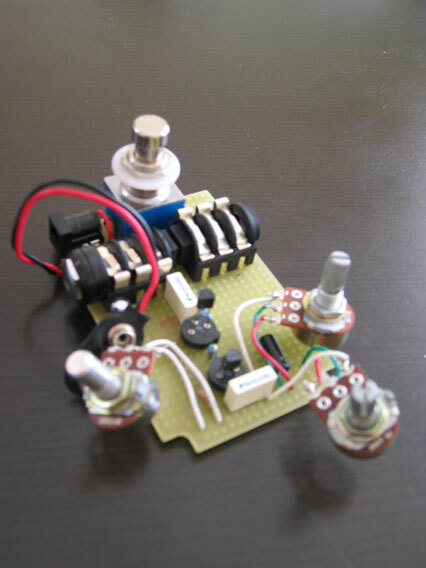 These parts include a 5V regulator and adjacent parts. I left these out of my build, and everything worked fine. I left these out of the schematic posted here. 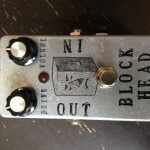 This is an interesting distortion effect with an octave and wah like tone control. I redrew this schem from an issues of Stompboxology. Here’s another unique design by Tim Escobedo. 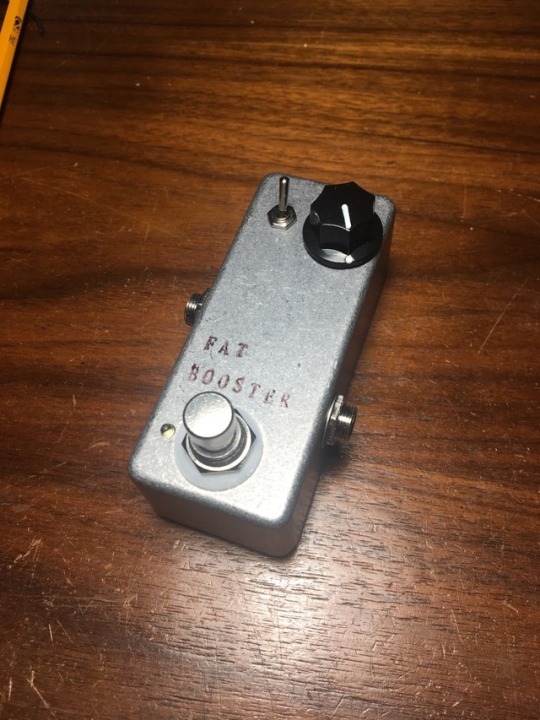 This is Jack Orman‘s Minibooster.